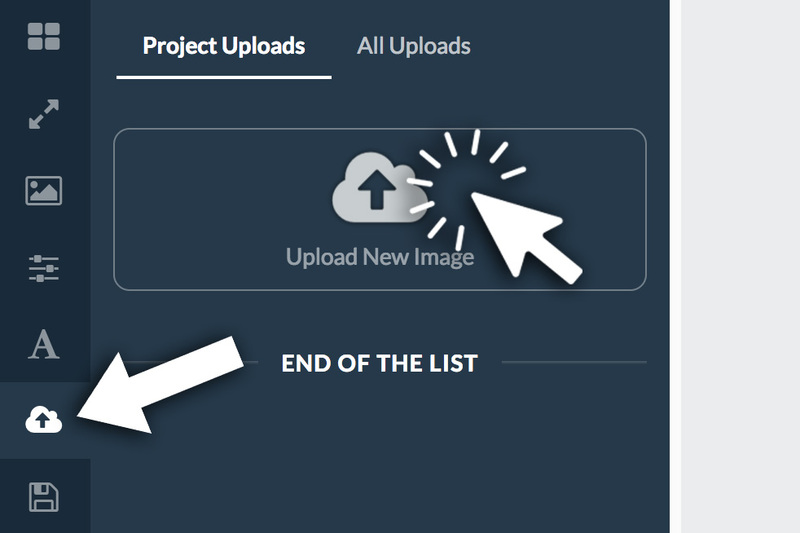 Click any asset thumbnail box in the right sidebar to choose photos from your desktop browser. 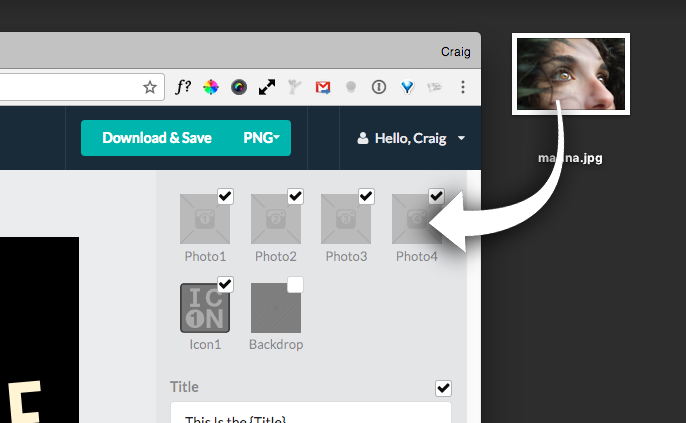 ...or click and drag images from your desktop directly onto the thumbnail boxes. NOTE: At this time you can NOT drag images from another web browser window directly into RelayThat. 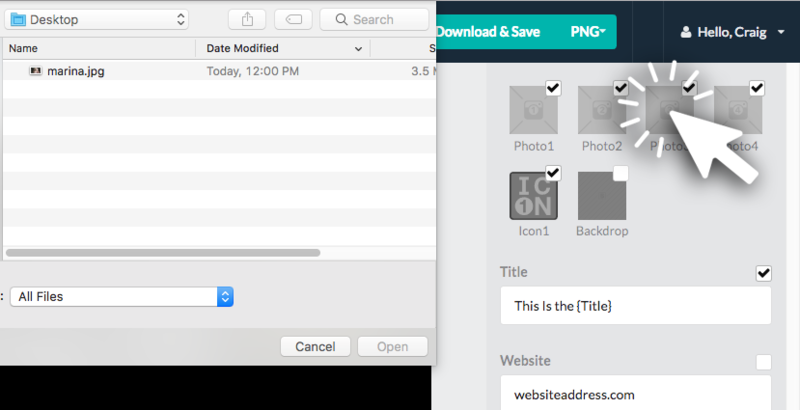 You can also upload photos in the upload box after selecting the "Uploads" icon on the left tool bar. NOTE: You can not upload multiple images at once with this feature but will be able to do this in the near future.